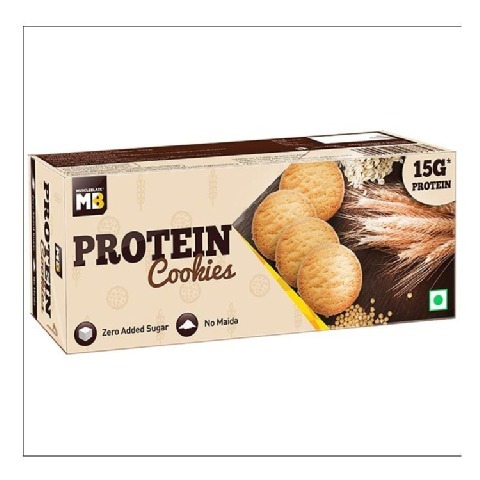 MuscleBlaze brings to you Protein Cookies made with high-quality ingredients to satiate your hunger with all things good. 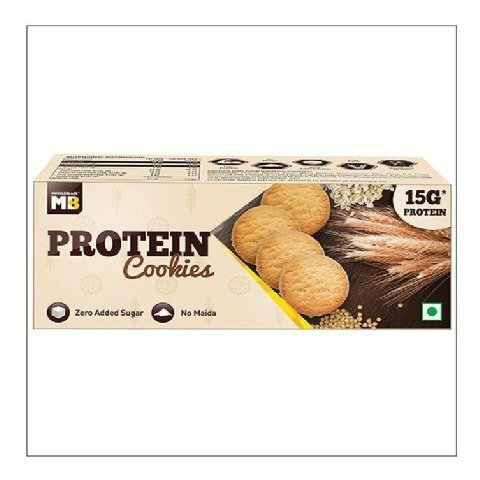 These cookies are loaded with protein and dietary fiber thus make a better pick for snacking anytime and anywhere. 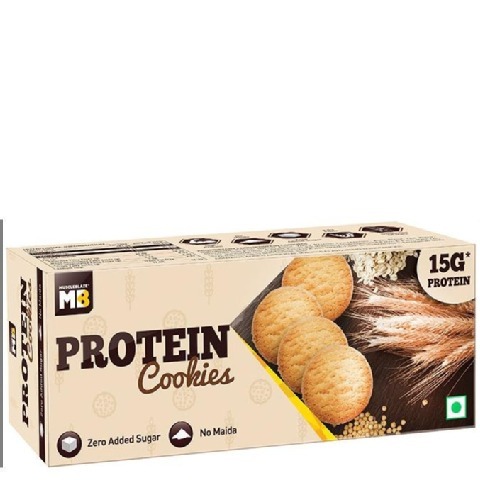 Choosing to eat healthier needs not to be boring and tasteless which is why MuscleBlaze brings to you these protein rich cookies for a guilt free munching. 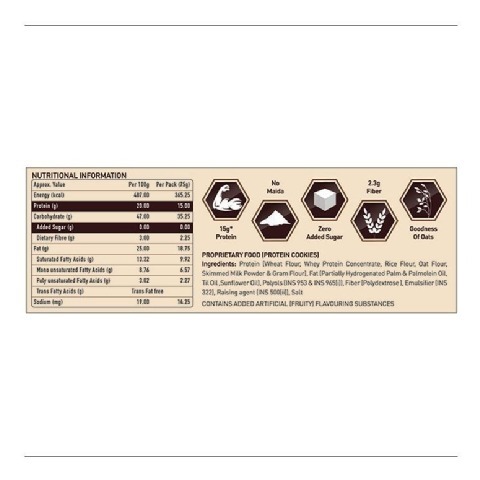 MuscleBlaze Protein Cookies are a rich source of protein and make a healthier snacking pick for fitness enthusiasts. 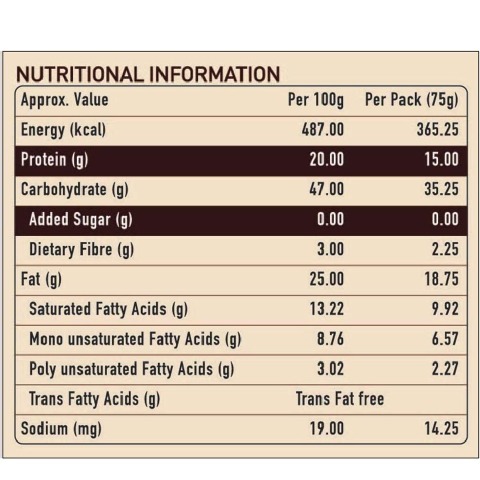 These cookies also serve as your protein on the go as they provide 15g of quality protein per serving. Combine these cookies with a glass of milk for a complete breakfast or scrumptious evening meal. 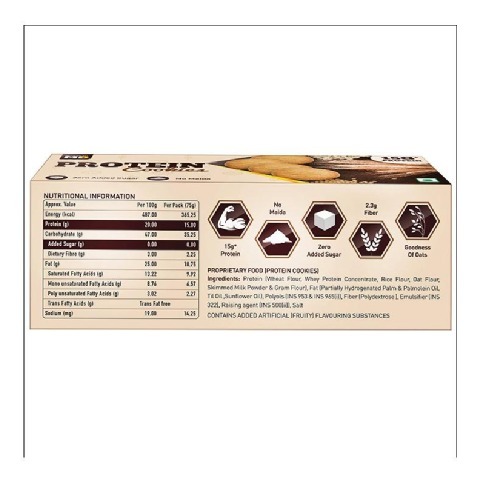 MuscleBlaze® Protein Cookies are rich in taste and with fruity flavors and crunchiness to swear by. 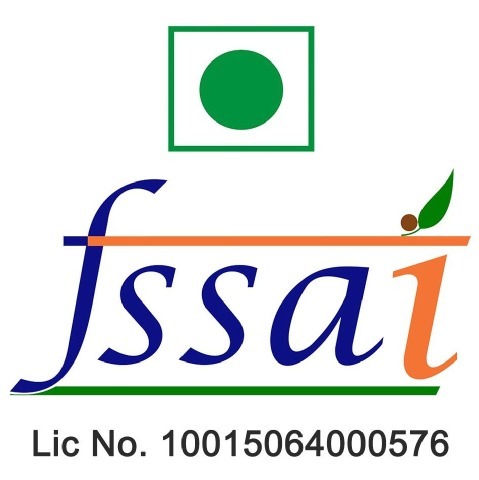 Each pack provides 15g of protein derived from all vegetarian sources including Wheat Flour, Whey Protein Concentrate, Rice Flour, Oat Flour, Skimmed Milk Powder, and Gram Flour. Made with whole grain flours, these cookies do not contain any Maida and are very easy to digest. 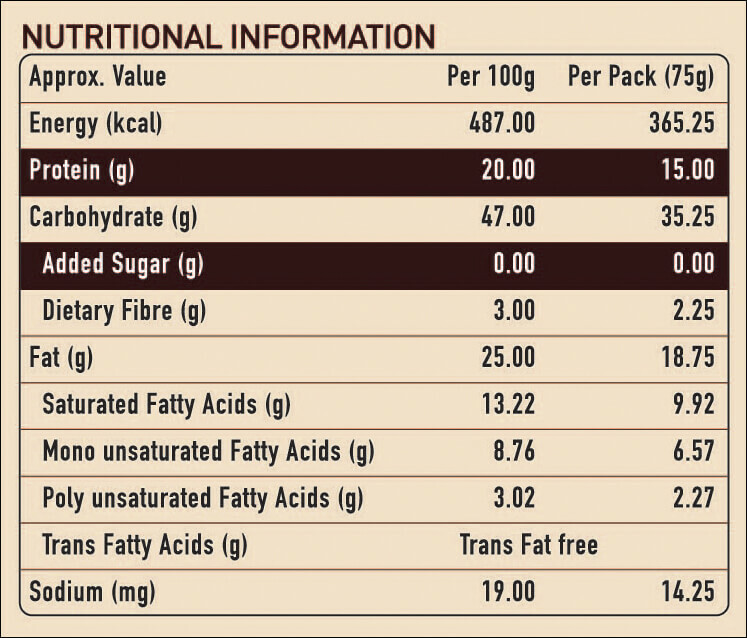 With 2.3g of fiber, these cookies go easy on your gut and prevent bloating. 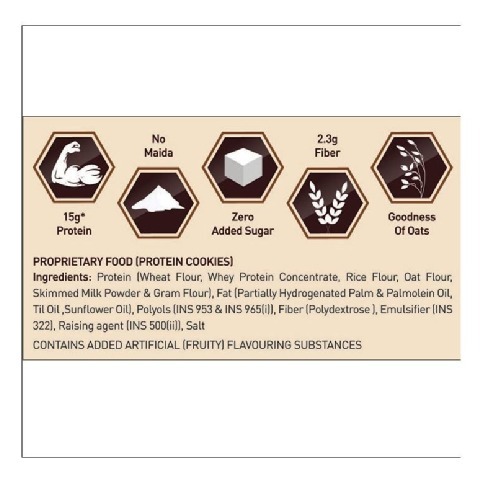 We know how much your struggle to keep those extra calories off your way which is why MuscleBlaze brings to you Protein cookies with No Added Sugar. Experience the crunchiness of the first bite and let it melt away with a blast of delicious flavors. 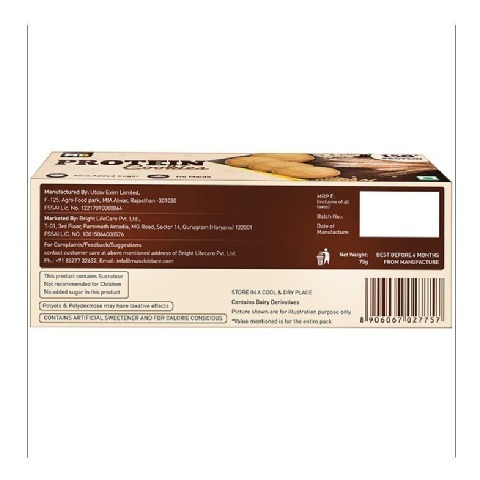 With the goodness of oat flour, these cookies help enhance the absorption of nutrients in the body while regulating the cholesterol levels in the body.